– Hami was the star of the tour, and rates 10/10. He has the perfect personality for guiding: relaxed fun informative helpful supportive, an exceptionally talented rider with easy knowledge about all the places and sights and culture. It will be a very sad day if he has to leave tourism due to the low tourist interest in Turkey at the moment. We are already talking about coming back to Turkey in a year or 2 for a road trip along the Agean, but would need to book Hami again for this !!! – Technicality of riding trails rates 8/10 as the trails were often above our capability levels, even though we have been mountain biking for nearly 20 years and are regarded as pretty good riders here in Cape Town. 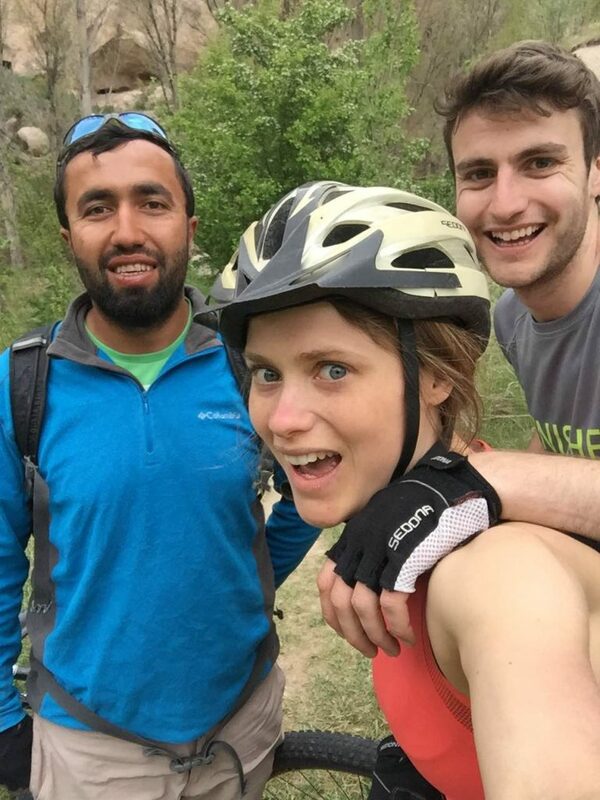 This may be because we don’t have slick rock or very sandy riding here, and ride mainly groomed trails – our trails are often steep and technical with drop offs and bermed corners– but we are used to riding trails prepared and groomed for mountain biking. We found the Turkey trails very wild, overgrown with thorns and brambles, unprepared and generally quite scary. So lots of walking and pushing and stop/starts instead of the long flowing single track sections we are used to. – Sightseeing and culture rates 10/10. We all loved the fairy chimneys, churches, monasteries, castles etc that Hami took us to, especially as he avoided the touristy spots, and we had most sites just to ourselves. Was wonderful and Hami had the perfect mix of history and fun. So all in all a great success. But we would have to be careful about recommending this particular trip to our friends, as their riding levels are lower than ours. Maybe time to design a mountain biking trip with easier trails – I liked the Cross country World Cup route (???) through the fairy chimneys into Goreme the best (we did this one twice). That sort of trail suits beginners, intermediates and advanced riders alike, as all can cope, with speed depending on individual levels. More cross country trails, and less hectic free-riding. Hi Jon, We are waiting at the airport to depart and I just wanted to thank you for the most fantastic cycling holiday that we have had: the locations; the routes; the places to stay and the superb support of our guide, Sinan. Nothing was too much and throughout he was informative and supportive. I would highly recommend him for always “going the extra mile” and enabling us to experience the “real” Turkey. He made us feel confident about tackling some of the steep climbs, “the daddies” and was always there to encourage and guide. Many thanks to you too for always answering my questions. Hi Jon, This email written on the plane won’t send until we’re in the UK, but I wanted to say thank you for your careful route planning for our cycle tour. The route was ideal given the constraints of our available time: two moderate days to start, a big stretch before our rest day, excellent location for the rest day (Kekik is an outstanding hotel and the Bosburun peninsula simply too inviting, Christine took me on a 46km 900m ride! ), and a pleasant last day (despite having to contend with the metropolis of Marmaris). Over the next couple of days I’ll try to capture a few points of feedback on gear etc, but wanted to convey our thanks for excellent route planning and accommodation.We hosed down the bikes to remove the grime of 300km and three days of epic thunderstorms and any salt from the sea air. Removed Christine saddle, left water bottles and all the repair gear (unused) in bag locked to the bikes in Joya’s garden utility room. Hi Jon. 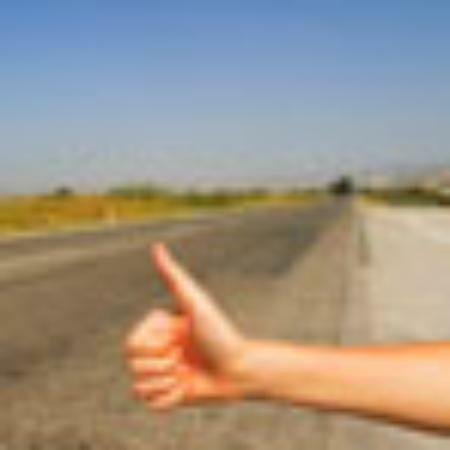 We have finished your gps tours with great success. Congratulations to the compilation of these superb day trips! 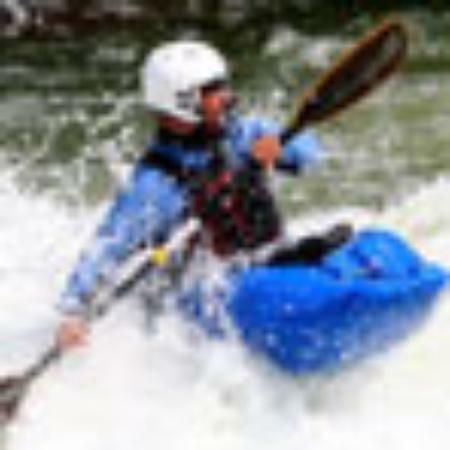 Great variety of sceneries as well as historical highlights spiced with beautiful single trails. I surely will recommend your tours to my biking friends in Switzerland. An Unbelievable, amazing, unforgettable, fantastic experience.. It’s hard to offer up enough superlatives that describe the mountain biking experience provided by middle earth and my guide Hami. Caters for all levels of rider. 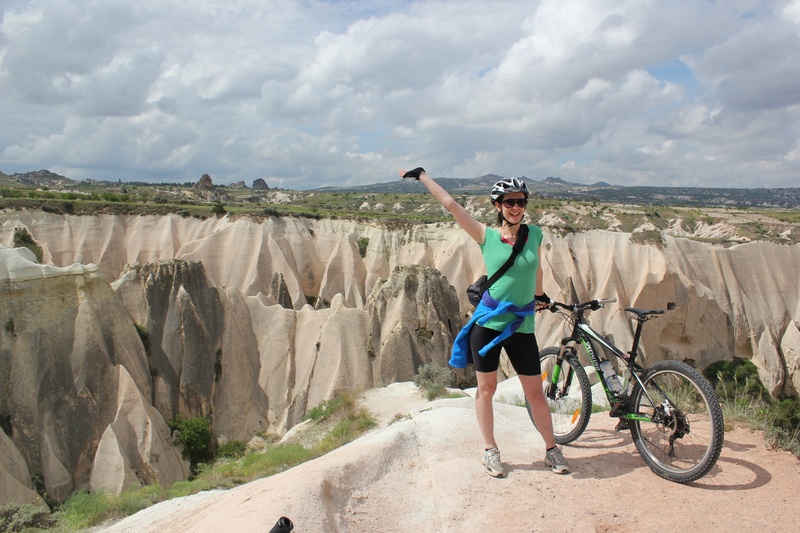 “Outstanding, reliable and friendly service” – 5 of 5 stars Reviewed 28 May 2015 NEW On May 2015 I went mountain biking in the Göreme area and hired a bike from Middle Earth. 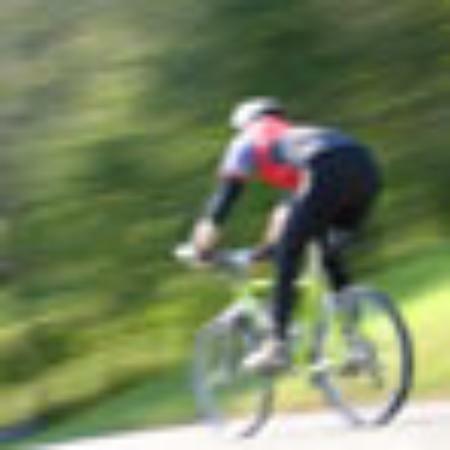 The bike was a top-spec Trek in superb condition, obviously well maintained despite the area’s rough riding conditions. The staff at Middle Earth were knowledgeable and willing to go the extra mile by providing tips and advice. One evening we got late to the shop just when they were closing and still they offered us tea and washed the bikes with big smiles. They are great guys who clearly love outdoors. The mountain biking guide Hussein was very good. We bumped into him while he was leading groups and he was doing a great job keeping everybody safe and having fun. I certainly recommend this company for your adventures in the Cappadocia area whatever they are. “Self guided MTB Tour Kappadokia “Jungle to the moon and back” – 5 of 5 stars Reviewed 23 May 2015 We booked this tour from Switzerland. The whole trip was superbly organised, we were picked up on time and received brand new rental bikes in top condition. The GPS Track was sent to us by email in advance and made navigation in the stunning Turkish landscape very easy. All along the tour we found food stalls / restaurants for all the bikers needs (Highlight freshly squeezed orange juice at several locations). Lovely rural landscapes were compiled with perfect single trails through unreal moon landscapes. Over all very good value for money, motivated team with great support. Keep up the good work! 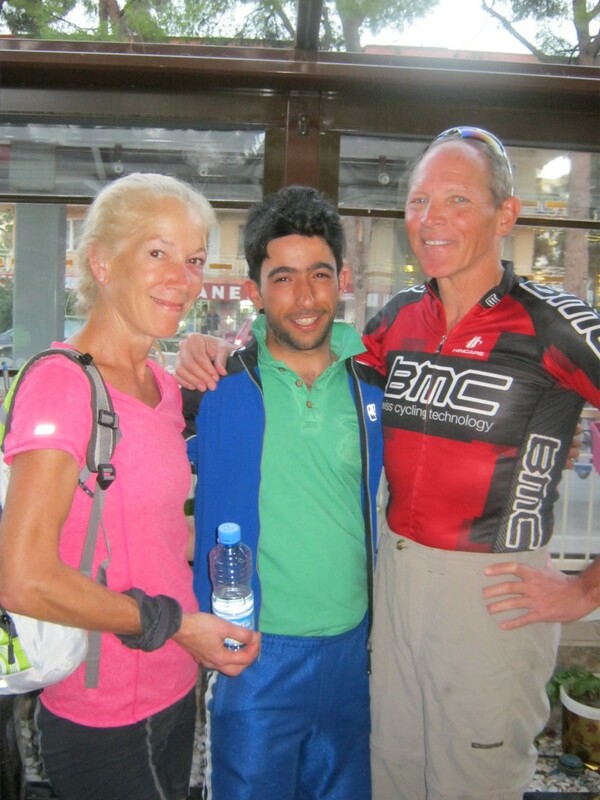 Sinan, We just wanted to thank you again for a memorable and wonderful week with you on the bikes. We have been fortunate to do some bike trips with our students over the years in Vietnam and Cambodia and were a bit unsure what to expect when we were simply customers rather than organizers – and we could not have been more pleased. Your gentle touch, your personal warmth, your ability to keep the group together (literally and mentally), your even temper and love of the outdoors and of people and of biking made the trip all we could have hoped for – and more. Your friendship is one we will always value and we hope that some day you will come to our side and we can get out on bikes with you in Vermont, USA. 🙂 Thank you for all your kindness. You are so good at what you do and we feel like we have a new and close friend in Turkey. Jon Bawn and his team at Middle Earth in Goreme, have managed to organise the most unique, epic Turkish Adventure on mtb’s through the untouched landscape of Cappadocia. This dry and rocky, yet mystical and mesmerising place, is paradise for any mountainbiker and became our playground for 6 days. Our group consisted of a very interesting mix: two Kiwi’s, an Australian, a Philippine, an American, a South African and a Korean, of which three were doctors (very handy on Mtb trip). During this mtb-tour we became an unbreakable team and this Cappadocian adventure led us to form close friendships and life long bonds. For 7 nights we slept in very authentic and traditional Turkish cave rooms at hotels and inns. Every morning we had healthy, hearty, Turkish breakfasts to get us going. At lunch after 3 or 4 hard hours on the bike, we had a Turkish feast awaiting us at the most interesting, traditional Turkish restaurants. After a long, hard day on the bike the group was always famished and taken to more unique, Turkish restaurants, every meal more delicious, decadent and mouth watering than the one before. After 6 days on the bike, our group agreed that we could not have asked for a more experienced yet patient mtb coach. Not only did our fitness on the bikes improve, but also our technical abilities and confidence. 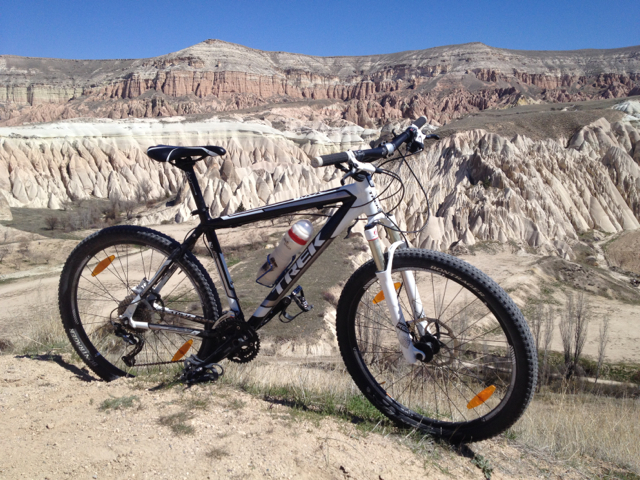 Mtb in the Cappadocia is extreme, beautiful and adrenalin pumping. We would often watch Jon flying over the most advanced, technical single tracks with such ease and grace, yet guiding us patiently and teaching us techniques over and over again, always encouraging and motivating us. Magical balloon rides, historical cave church visits, experiencing and visiting a real turkish Hamam also formed part of our trip and all contributed to indelible memories. Cheers to an unforgettable, unique Turkish Mountain Bike adventure! Dear All, I’ve cycled at least 2 dozen countries in North and South America, Asia, Europe and Africa on road bikes and can honestly say that the Cappadocia mountain biking trip ranks as the most unique two wheeled adventure I’ve experienced. My 25 year old son said it was the best cycling trip he’d experienced. Jon’s guided tour is absolutely the best way to explore such a diverse series of landscapes unreachable to the average hiker or tourist. Great accommodation, magnificent food, tremendous guide support and excellent bikes all contributed to an amazing experience. Hami, Thank you again for your help renting bicycles the other day, and especially for your recommendations of where to ride. We rode everything you told us about and loved it! The trail going down from Sunset Point was so, so fun!! Jon was a fantastic guide with very good local knowledge… He gave excellent advice and encouragement. Also very good at adapting to weather conditions and to the group, always up for exploring things along the way. Spectacular scenery with lots of interesting things to explore! Food provided during the tour: Loved the picnics! Accommodation: Good mix with each place different but very special. Best trip I have ever done, spectacular scenery, fun biking, excellent guide and lots of things to see along the way. Dear All, This was an excellent route for our group with moderate mountain bike skills. Each day brought new and unexpected treasures and as the route unfolded it could not be more enjoyable to discover ever more beautiful scenery and places of cultural interest. The riding also became more challenging as the days progressed and as we became fitter we were able to tackle more uphills with confidence. On the first day we continued along the Ihlara Valley from Belisirma rather then take the 15km road section and we agreed with our guide, Jon, that although this involved some climbing and carrying bikes across rocky sections, this was an improvement to the route and preferable to riding the road section. On the last day, one of our party was ill and this enabled us to tackle more single tracks around Goreme as an alternative to the planned route and this was probably the most enjoyable day of the tour as our skills had improved to enable us to tackle these excellent single tracks with confidence. A degree of flexibility at the guide’s discretion was definitely an advantage given that we were staying 2 nights in Goreme. Jon was really good and because he could speak Turkish this enabled him to interact with local people. We even stopped to have tea with some elderly men in Baskoy and could talk with them with Jon acting as interpreter. He passed on many of his mountain biking skills as we were a small relatively inexperienced group of 3 and this enabled us to tackle single track sections with more confidence. I cannot rate Jon highly enough. Our luggage was moved on seemlessly although due to the nature of the terrain we did not see our driver except when we moved from Gaziemit to Soganli. Three excellent picnic lunches, home cooking at Soganli and the lunch at the House of Memories at Uchisar were particular highlights, but overall excellent. Every night brought new surprises and loved staying in cave hotels. It is hard to improve on this excellent mountain bike adventure. A bit of flexibility on route changes where practical is good according to the group’s wishes. Loved the scenery. There was always something new round every corner and discovering the cave dwellings and churches was a particular highlight. Hi Jon, I just wanted to say thank you for the great trip you organised for us. In addition to your excellent planning / information / admin, etc, Huseyin was a wonderful guide. We hadn’t really understood that he’d be with us helping the whole way, which was great. Nothing was too much trouble for him; he was good company; and patiently tried to answer all our questions about Turkey. We couldn’t fault him in any way. Jon Bawn and his team at Middle Earth in Goreme, have managed to organize the most unique, epic Turkish adventure on mtb’s through the untouched landscape of Cappadocia. This dry and rocky, yet mystical and mesmerizing place, is paradise for any mountain biker and became our playground for 6 days. Our group consisted of a very interesting mix: two Kiwi’s, an Australian, a Philippine, an American, a South African and a Korean, of which three were doctors (very handy on a Mtb trip). During this tour we became an unbreakable team and this Cappadocian adventure led us to form close friendships and life long bonds. For 7 nights we slept in authentic and traditional Turkish cave rooms at hotels and inns. Every morning we had a healthy, hearty Turkish breakfast spread to get us going. At lunch, after 3 or 4 hard hours on the bike, we had a Turkish feast awaiting us at the most interesting and authentic Turkish restaurants. After a long, hard day on the bike the group were usually ravenous and taken to another unique Turkish restaurant, every meal more delicious, decadent and mouthwatering than the previous one. Our group agreed that we could not have asked for a more experienced yet patient mtb coach to guide us over the six days. Not only did our fitness on the bikes improve, but also our technical abilities and confidence. Even though Jon could effortlessly fly over the most advanced technical single tracks, he guided us patiently, improving our techniques, always encouraging and motivating us. A magical balloon ride, historical cave church visits, wine tasting at a local winery and experiences we will never forget! Dear All, The tour through the Kackar Mountains is an exceptional experience. It provides a good blend of fantastic scenery, cultural interest and a real insight to how the local people manage to retain their traditions and way of life. To get the most from this trip you need a reasonable level of fitness in order to be able to enjoy and not just endure the tougher bits. 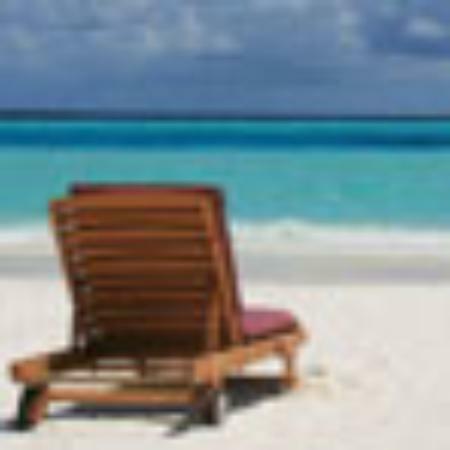 The people that you meet along the way are incredibly open and friendly, and the food is always fresh and tasty even in the most basic pensions. The back-up and support from Jon (tour leader) is spot-on – he will tune the itinerary to the group’s capabilities, and is always on-hand to deal with any technical issues with the bikes. If you’re looking for something a little different from the normal bike tour experience, then I thoroughly recommend this tour. Regards Nigel Fielden, Kackar Mountains MTB September 2014. 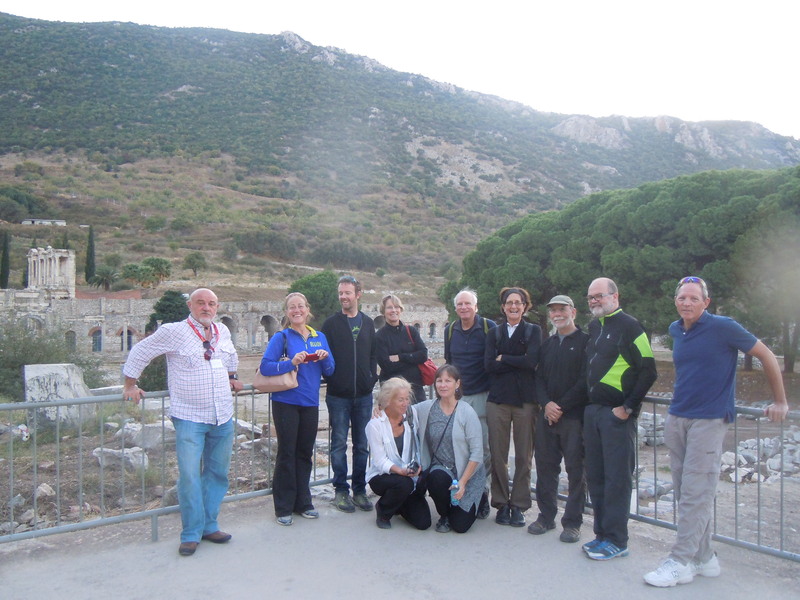 Ps – Really enjoyed the Lycian Way trek also, and thanks to the Middle-Earth team – the organisation , logistics , accommodation etc were faultless. Hi… We would like to endorse everything Nigel has said about the Kackar Mountains trip.It was challenging, but a wonderful experience. We had a great guide. Thank you Jon for arranging my birthday celebration! We had an impressive driver in Ismail and the other members of the trip were great company. Thanks to all of you for making our trip so enjoyable. Keith and Pat Green, Kackar Mountains MTB September 2014. Hello… I would like to thank Middle Earth, and Huseyin and Jon in particular, for one of the most memorable and enjoyable cycle rides of our life. We were able to explore remote, wild and lovely parts of the Aegean coast that we would never have guessed existed, as well as meet charming and hospitable people along the way. The vistas that unfolded – whether along the beach or way up in the mountains – are beyond description …they took my breath away on several occasions. Cycling through this countryside not only allowed time for full appreciation of the views, but also – a chance to smell! Wild oregano and sage by the roadside, ripening figs on the trees, hay…. Our B&B accommodations were all clean and comfortable, and afforded beautiful views and swift access to local heritage sites. The meals were traditional and unerringly delicious. Each place we stayed at offered its own culinary treat. Huseyin held it all together with quiet efficiency – materializing magically at the base of steep hills to offer us a vehicle “transfer”, explaining the route to us and devising a few memorable events along the way…such as a BBQ on beach and a roadside picnic at the waterfall . He also took us to a couple of refreshingly cool rural cafes along the country roads…terraces where wisteria and grape vines tangle between fruit trees to form shaded refuges from midday sun. 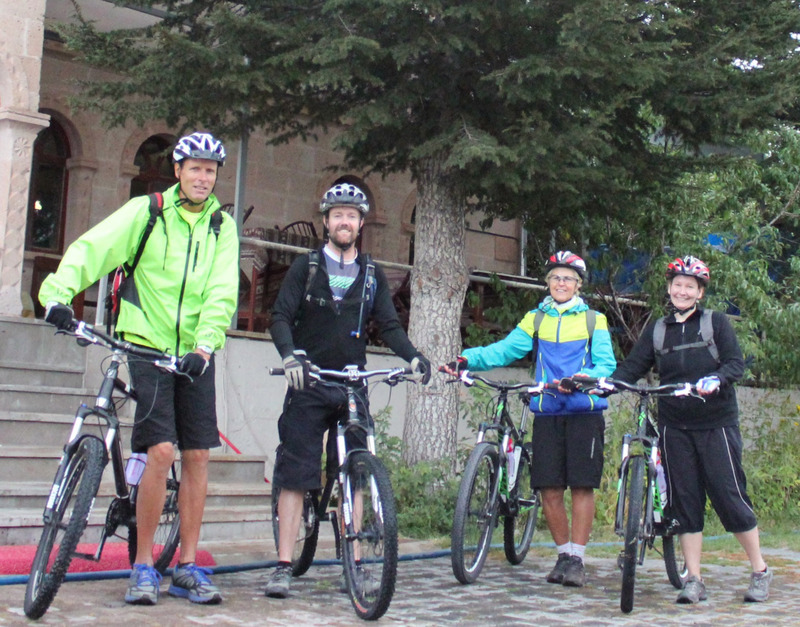 We thoroughly enjoyed his company and his stories of his family life in Antalya and adventures as a bike tour guide. Our hired bikes were perfect for the job – front suspension and the broader tyres helped on the rougher roads, and upright handlebars allowed us to enjoy the views as we cycled. I’d definitely recommend a mountain bike in preference to a racer for this sort of trip! The daily routes were challenging but not too daunting – especially with the option of “transfer” when things got too hot or too vertical! Jon, thanks for your patient responses to my 2000 email questions, and for generating the modified GPS map for our requirements (we did the tour in reverse, from Dalyan to Izmir). Huseyin, thanks for being the wonderful person that you are. We miss you. 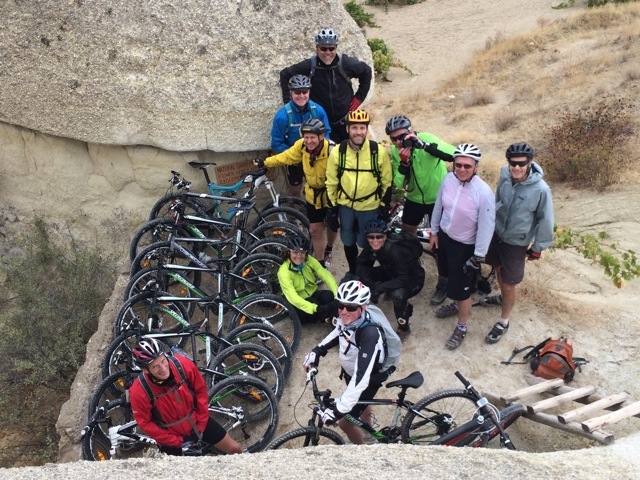 We highly recommend this tour and hope that we will be able to return and cycle Middle Earth’s Capadoccia tour at a future date. Hello Jon, We are home now for almost a week, my ribs still hurt a bit and therefore remind me of Cappadocia a lot! I just wanted to say thanks one more time, you really helped us a lot in having a great time in Turkey, not only because of guiding us and showing us the landscape and the best trails, but also in helping us out when we had some problems, e.g. with my back wheel or after my fall in getting to the hospital. We were absolutely content with the way you guided and treated us. I will definitely recommend you and your company! Have a good time, hope to see you again, and in case you will be coming to Germany and want to go biking – we live in the south, very close to the biggest forrest area in Europe – just drop me a line! Bye and thanks from Uwe and Ulrike! Hi Jon, The Cappadocian road trip was the perfect introduction to what this stunning country offers cycle-tourists: quiet, smooth roads with friendly & courteous drivers, antiquities seemingly scattered randomly across the landscape, the blend of old & new Turkey juxtaposed in every village. And, of course, beginning that journey into discovering which would become our favourite Turkish dishes… The accommodations were always a delight and made our arrivals just as much looked forward to as the road ahead each morning. Celebrating my birthday in Goreme with some of the sweetest singletrack I’ve ever ridden will be one I’ll never forget – and, as a kiwi, I’ve ridden some singletrack. Part of me wants to promote it – part of me wants it to be one of the best-kept secrets which it still (nearly) is. For Deborah & myself, the Turkish Lakes tour was equally unforgettable but for entirely different reasons: the remoteness of the trails, the grandeur of the mountains, the ever-changing terrain & scenery and the overall authenticity of the experience. The only downside was that we’re now struggling to know where we can cycle tour next that will provide us with anything comparable. Being a guide, having to accommodate so many different personalities, skill & fitness levels and holiday agendas, is a challenging role and the fact we travelled together for 18(?) days is testament to the skills you brought to the job. We left Turkey with a much greater appreciation of (some) of the people, their history & culture, food and wildly-varying lifestyles through your natural love of the country. And your invaluable translation skills (even when you were tired!) transformed many otherwise transient encounters into memorable moments of sharing. Hami & Sina more than complemented you. We felt a warmth & friendship from them both that was genuine and, we hope, reciprocated. Best wishes to you & Hami @ ME and to Sina, wherever he now is! Guy, Deborah & Zara Dear Jon, I have long intended writing to you to say what a wonderful time we had on our cycling holiday in Turkey last summer. However, once you get back home, every day life takes over and there are other priorities – but receiving your email today, reminded me of the fun we had. It was hot, but the scenery and the excellent beaches made it all worth while. We went at our own pace, but our support driver was outstanding and sympathetic and his company really added to the holiday. Although there were obvious language difficulties, he understood us well and our need for constant supplies of cold water and a ride in the support van when the going got tough. We have been on many cycling holidays, but Peter and I believe that this was one of the most memorable – it was our first visit to Turkey and we hope to return on our bikes! Hope that all is well with you. Jon & Sina – Thanks for a fantastic week mounting biking in Cappadocia – it was without a doubt the highlight of my trip to Turkey! Super fun trails & spectacular scenery; excellent management of logistics & guiding; fantastic food & accommodations; and a great group of fellow cyclists. To top it off, our bikes worked flawlessly and were well-suited to the terrain. I’d highly recommend you guys (and have already) to others looking for a fun, adventurous experience in a beautiful part of the world. Let us know if either of you get to California – we’d love to share some awesome Sierra rides with you! Dear Jon, We had a great time on our Cappadocia Self Guided tour! Here’s some feedback: * Hotels- how was the service, style, cleanliness, breakfast etc? Most of the hotels were very comfortable. The service and the breakfast at all hotels was disproportional good in comparison to some of the hotels (ex: Emek Pension was more of a 2 star yet their service and food was closer to a 4 star). All hotels were clean and different in style which made the experience much nicer. * Route- how was the riding experience for you? Routes were harder than expected. It was nice to get a very good workout and challenge. I think that the route from Guzelyurt to Soganli was the most difficult yet it had the most beautiful views. * Self guided notes- how did you get on with the notes, maps, GPS etc? Even with the maps and notes, we made a few wrong turns. I really think that a GPS is required for most of the routes that we did. We rode with 2 guys from Belgium for 2 days who had a GPS and it made navigation much easier. * Transfers- did everything go according to plan and how were your drivers? Mustafa is the best. He’s a kind, funny and very nice person. We had good conversation even if his English is limited. I got to learn a few Turk words. I even added him to my Facebook! I hope you guys keep him as your driver because he made the experience much more enjoyable. * Bike hire- quality and set-up of bikes and value for money? The bikes were good. We had a small issue with Katie’s bike with respect to the gears but everything went well. The disc brakes are required for such routes. Mustafa even washed our bikes on one evening before loading them into the van. Thanks again for everything. We really enjoyed our experience. This trip was the best of my life so far. Turkey was nothing like I had imagined. Everything was better. Hi everyone.. Allison and i (Clem) have just come home from turkey. what a great place to go we were their for 4 weeks we spent 5 days with middle earth doing a self guide tour with a driver jon taking our gear from a to b . what was a big high light of our trip the people you meet jon the tour guide come driver. the great people that own and run the hotels. the food the small towns and vilages.we found the turkey people very friendly. the bike were in great shape. just take your own water bottles. to refill. thanks jon for a great part of our time away. would do this tour again in a heart beat miss turkey already! Dear All, Just back from the Aegean Coast Road Biking Tour and what a fantastic time we had. Challenging at times (!) but all the climbs were so well worth all the spectacular views and wonderful scenery. The routes were well thought out – far away from the ‘madding crowds’- with plenty of time to admire the landscape, swim and eat the wonderful picnics lovingly prepared by the amazing Huseysin! The hotels were all different in true Turkish style with very welcoming hosts and delicious local food. There were a few added bonuses for us too: spontaneous invitation to a Turkish Wedding, semi-tame wild boar on the beach, tortoises in the road and a perfectly positioned armchair at the top of a mountain. The lengths ‘Biking in Turkey’ go to to make your holiday memorable!!!!!!! Such a great way to see Turkey! Thank you Jon and Huseyin for a truly amazing trip. Miss you all! Marina Leary (October 2012) Dear Jon and Atil The bike ride, in many ways was a highlight and we appreciated the carefully planned itinerary and some of the most spectacular sights we saw in Turkey… Some stretches of riding that were the most beautiful riding we have done. My daughters and I were travelling through western Turkey on our way to Bodrum when we met Jon Bawn in Sirince New Year’s Eve. Jon gave us several tips as to where to visit and stay as we journeyed south. His advice was excellent! We arranged to stay at the hotel he recommended at Lake Bafa and it was one of the highlights of our trip. Truly memorable. Without his recommendations, it is doubtful we would have gone there. During the week after, we took a detour from Istanbul and went to Canakalle, the Sea of Marmara and Gallipoli. Again, Jon’s advice was right on point. My daughters and I loved being on the sea and we enjoyed learning about the battles at Gallipoli – it was amazing to visit the actual battle sites after having read about them in school! It created a lasting memory for us. Jon was so helpful to us on our trip that I would like to return – in better weather – and go on one of his bike tours the next time! 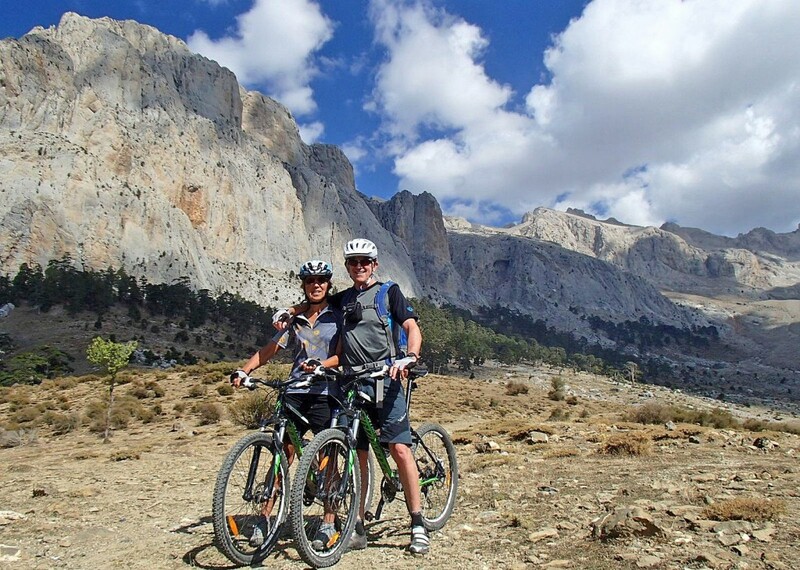 This is a credible and reputable mountain biking tour company offering great tours that can be tailored to meet any biker’s experience. Because I am a beginner and my partner a lot more experienced, we booked one of the basic day tours, however once our guide, Hassam, assessed our different experience levels and desires for the day, he immediately tailored a tour to suit both us. Hassam tought me some basics, and even took time to stop and help me practice to build a few skills. This was a great initiative that I haven’t seen on other biking tours. Toward the end, he took my partner on some of the more difficult trails. Hassam was a great guy and really fun to get to know for the day, also his knowledge of the area trails is huge. 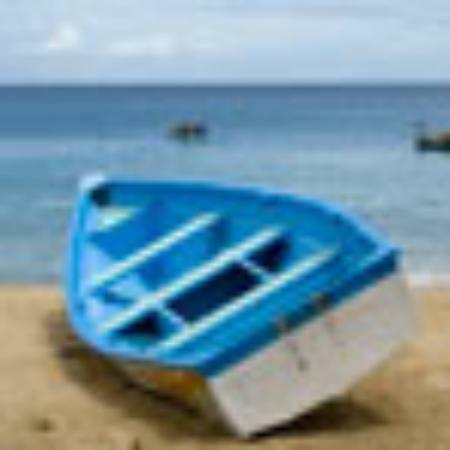 I highly recommend booking a tour through this company – whilst I sometimes have doubts booking tours online and before arriving, John always replied to our emails quickly, sussed out what we wanted and booked us in. On the day everybody was professional and the tour ran on time. I’ve done lots of different tours, biking, surf trips around the globe, this is one company and a biking experience I’d definitely recommend. Thanks for the experience – sure it will be a lifelong memory. 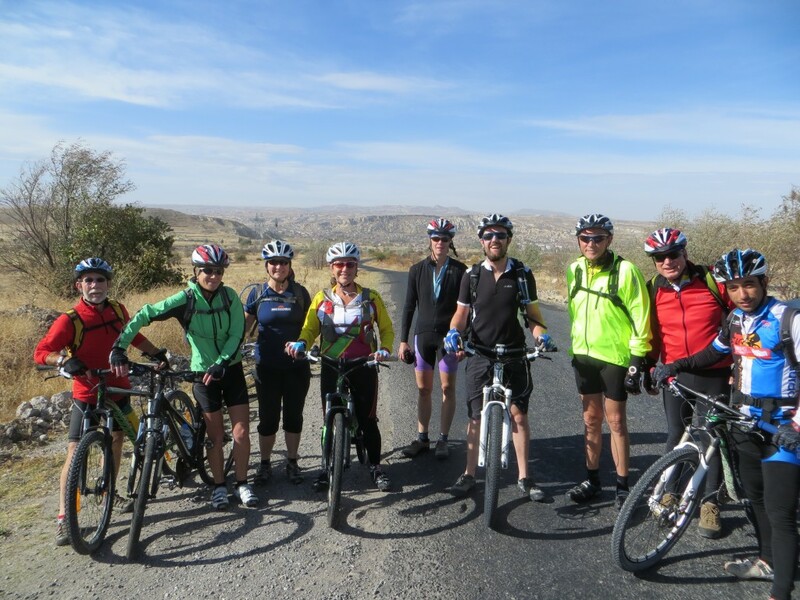 Thanks for your expert help in facilitating our bike tour of Cappadocia in Ocober/ November 2013. As 60 year olds travelling with our own bikes through Europe we were nervous as to how we would go in Cappadocia. Thank goodness for your puncture proofing foam for our tyres! It was lovely to also enjoy cycling with our son and his fiance for this period. We were without a guide, or GPS, so relied upon your maps and written instructions. We may have made a few errors in navigation but completred all 8 days of approx 50km successfully according to the itinerary we agreed with you prior to our trip. We met lovely people and stayed in amazing places. Thank you so much for helping us achieve a wonderful and challenging holiday. Just back from Turkey and sharing stories and photos with friends about our Aegean Road bike trip. What can we say other than it was fabulous!!! Despite the challenging hills ( who knew that Turkey had that many hills!) the trip was all we could have wanted – great bikes, minimal traffic, spectacular and varied scenery and a chance to visit places far away from the usual tourist spots. 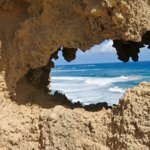 October was great weatherwise – not too hot! Our support driver Hussein was wonderful – encouraging us up all those hills and great company the whole trip – it was sad to say goodbye. Thanks for everything Jon – all the great organization let us focus on enjoying the trip and as our Canadian winter is setting in, we have our great memories and photo’s to enjoy. Absolutely brilliant week of biking in spectacular places. Organisation and support was first-class, as was the accommodation and food. This is about as good as gets for mountain-biking – lots of variety, plenty of challenges but flexible enough to allow for mixed standards. Hire bikes were perfect for the job. Wouldn’t hesitate to repeat the whole tour. Thank you very much for arranging this biking trip in Cappadocia. Both Katie and I are not cyclists and we were looking for a fun and unique biking experience. It certainly exceeded our expectations as we had a great time and really appreciated every moment of it. The views of rural and backcountry Cappadocia were stunning. The routes were challenging and long enough. People were very friendly and your staff was very helpful. Mustafa (driver) is such a nice and kind man! He was very helpful and professional. The accommodations were varied in terms of style and general experience which made the trip even better. As I had never been to Turkey before, I wasn’t sure what to expect. The food was so good everywhere and we felt safe in every area we went. I’ve included a few pictures on here. I certainly will recommend this experience and Middle Earth to all my friends. 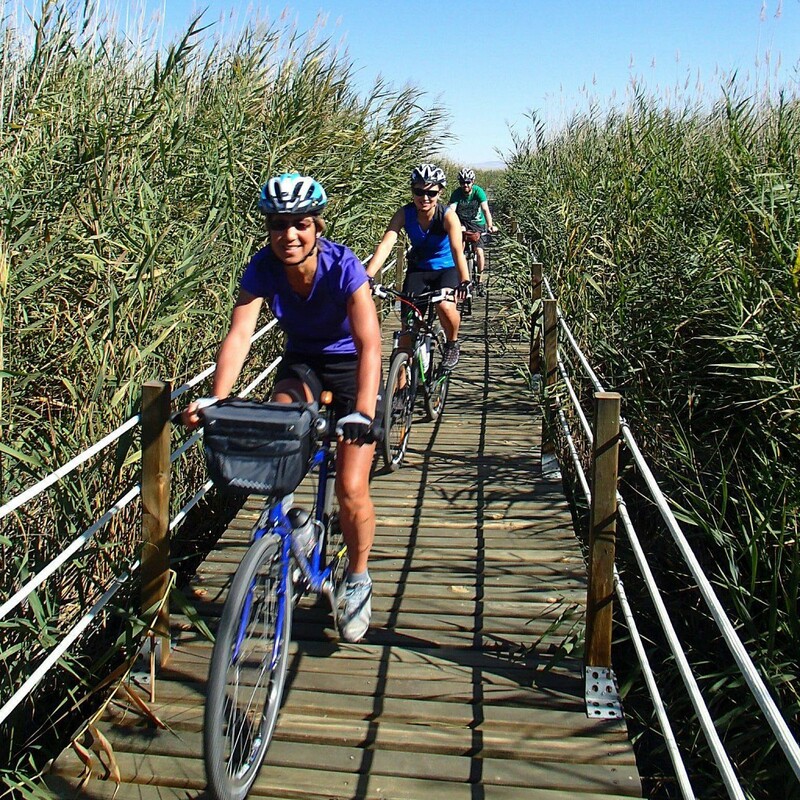 Just back from the Aegean Coast Road Biking Tour and what a fantastic time we had. Challenging at times (!) but all the climbs were so well worth all the spectacular views and wonderful scenery. The routes were well thought out – far away from the ‘madding crowds’- with plenty of time to admire the landscape, swim and eat the wonderful picnics lovingly prepared by the amazing Huseysin! The hotels were all different in true Turkish style with very welcoming hosts and delicious local food. There were a few added bonuses for us too: spontaneous invitation to a Turkish Wedding, semi-tame wild boar on the beach, tortoises in the road and a perfectly positioned armchair at the top of a mountain. The lengths ‘Biking in Turkey’ go to to make your holiday memorable!!!!!!! Such a great way to see Turkey! Thank you Jon and Huseyin for a truly amazing trip.